The stand will be open to all MG Car Club members. The club discount gives a 50% saving on ticket prices and free infield parking. 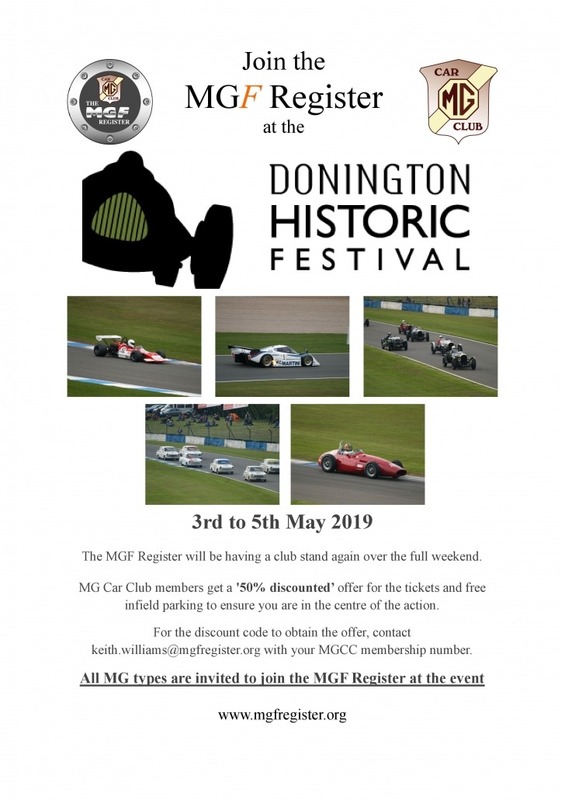 For details visit the MGF Register website or contact the MGB Registrar at registrar@mgb-register.org with your MG Car Club membership number.